Istana Negara, the National Palace in Kuala Lumpur is the official residence of the Yang di-Pertuan Agong, the monarch of Malaysia. Destination Malaysia, a virtual guide to the country in Southeast Asia that was formerly known as "Malaya". Malaysia consists of two geographical regions divided by the South China Sea: the peninsular Malaysia (or West Malaysia) on the Malay Peninsula bordered by Thailand on the north and Singapore in south, and Malaysian Borneo (or East Malaysia) located on the northern part of the island of Borneo in the South China Sea, bordering Indonesia and surrounding the Sultanate of Brunei. The country shares also maritime borders with the Philippines and Vietnam. Malaysia covers a total area of 329,847 km², making it slightly larger than Norway, or slightly larger than the U.S. state of New Mexico. Highest mountain is Mount Kinabalu with 4,095 m on the island of Borneo. Mt. Kinabalu and the surrounding Kinabalu Park are a UNESCO World Heritage Site. Malaysia has a population of 31.6 million people (in 2016). 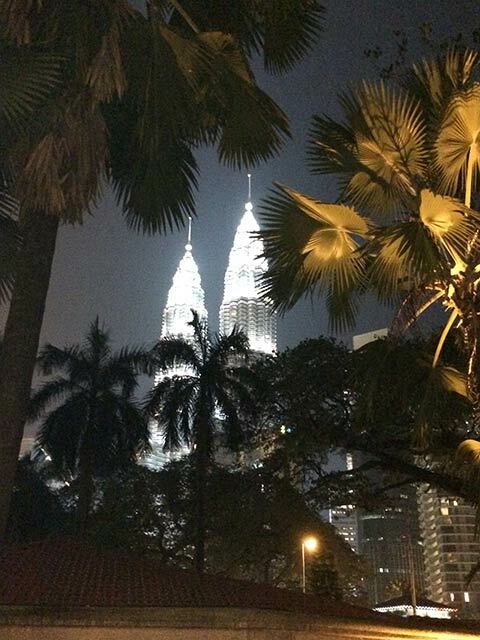 Largest city and the national capital is Kuala Lumpur. Spoken languages are Malay (official), English, Tamil, and Chinese (Cantonese). Penang, Ipoh, Malacca, Johor Baru, Kuching, Kota Kinabalu, Alor Setar, Shah Alam. Independence: 31. August 1957. (Malaya, which is now peninsular Malaysia, became independent in 1957. In 1963 Malaya, Sabah, Sarawak, and Singapore formed Malaysia. Singapore became an independent country in 1965.). Constitution: 31 August 1957, amended 16 September 1963. Location: Southeastern Asia, partly on Malay Peninsula south of Thailand and on the northern one-third of the island of Borneo, bordering Indonesia, Brunei, and the South China Sea, south of Vietnam. Climate: Tropical, annual southwest (Apr to Oct) and northeast (Oct to Feb) monsoons. Ethnic groups: Malay 50%, Chinese 24%, Indigenous 11.0%, Indian 7%, non-Malaysian citizens 7 %. Religions: Islam (60%), Buddhism (20%), Christianity (10%), Hinduism (6%),Confucianism (2.6%), Animism (1%), others (including Taoism, Sikhism, Baha'i faith). Languages: Malay, Cantonese, Hokkien, Mandarin Chinese, English, Tamil, indigenous. Natural resources: Tin, petroleum, timber, copper, iron ore, natural gas, bauxite. Agriculture products: Peninsular Malaysia - rubber, palm oil, cocoa, rice; Sabah - subsistence crops, rubber, timber, coconuts, rice; Sarawak - rubber, pepper; timber. Peninsular Malaysia - rubber and oil palm processing and manufacturing, light manufacturing industry, electronics, tin mining and smelting, logging and processing timber. Sabah - logging, petroleum production. Sarawak - agriculture processing, petroleum production and refining, logging. Malaysia is a multi-ethnic and multi-religious country in Southeast Asia and one of the wealthiest and most developed countries, outranked in GNP only by Singapore and oil-rich Brunei. The Federation of Malaya became an independent country on 31 August 1957. On 16 September 1963 the federation was enlarged by the accession of the states of Singapore, Sabah (formerly British North Borneo) and Sarawak. The name "Malaysia" was adopted from that date. Singapore left the federation on 9 August 1965. Malaysia is a federation of 13 states, the country's political system is a constitutional monarchy based on the British Westminster parliamentary system. The nine Malay States (Sultanates) are constitutionally headed by a traditional ruler of royal descent. The representative head of state is the king, who is chosen every five years from the ranks of the rulers of the nine Sultanates according to the principle of rotation. Executive power is vested in the cabinet led by the prime minister, who is the head of government. Official website of the ruler of Malaysia (Yang di-Pertuan Agong). Official website of the Council of Rulers of Malaysia, the council consists of the nine rulers of the Malay states, and the governors or Yang di-Pertua Negeri, the other four states. The council's responsibility is the election of the Yang di-Pertuan Agong (King) and his deputy, every five years. Official website of the Prime Minister of Malaysia. Official Website of the national assembly of Malaysia. The bicameral parliament consists of the lower house, the House of Representatives (Dewan Rakyat) and the upper house, the Senate (Dewan Negara). Ministry of Foreign Affairs, Malaysia. Malaysia's Permanent Mission to the UN. List of addresses of Malaysia's Missions Worldwide. List of addresses of Foreign Missions in Malaysia. The State of Johor (Johore). The Historic City State of Malaysia. The State of Negeri Sembilan. Penag Government site (in Bahasa Melayu). Kerajaan Negeri Perlis, the State of Perlis. The State of Terengganu (Trengganu). Map of West Malaysia showing the search area where Malaysian Airlines flight MH 370 is supposed to be found. Map of Malaysia showing Malaysia's 13 states (negeri). Searchable map and satellite view of Malaysia. Searchable map and satellite view of Malaysia's capital city. Searchable map and satellite view of Johor Bahru (JB), Malaysia's second largest city. Map of the South China Sea region. Independent National Newspaper of East Malaysia. Malaysian News for the world. Monthly magazin; Malaysia's first multi-ethnic reform movement dedicated to justice, freedom and solidarity. Malaysia magazine by Raja Petra Kamaruddin providing news and commentary critical of the administration. Most circulated Malay language newspaper. MahaDARE the Cartoon, Satire on Asian Politics & Social Issues. 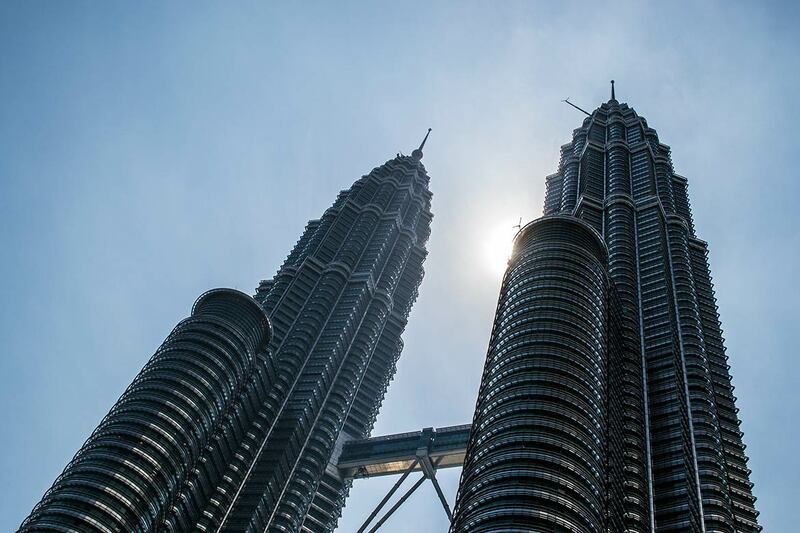 Malaysia, a middle-income country, it has transformed itself since the 1970s from a mainly agricultural producer of raw materials into an emerging multi-sector economy. Malaysia is attempting to achieve high-income status by 2020 and to move farther up the value-added production chain by attracting investments in Islamic finance, high technology industries, biotechnology, and services. Exports - particularly of electronics, oil and gas, palm oil and rubber - remain a significant driver of the economy. Serves over 100 destinations in Asia, Australia, USA and Europe. Malaysian airport company who manages most of the airports in Malaysia. Official Website of Tourism Malaysia. Official site of The Malaysian Tourism Promotion Board (MTPB). by the Malaysia Tourism Promotion Board New York. Travel and tourism guide to Negeri Sembilan state. Travel and tourism guide to Sabah state. Travel and tourism guide to Sarawak state. A travel and tourism guide to the Malaysian state on the east coast of peninsular Malaysia. Government of the City of Kuala Lumpur. The oldest and most prestigious university in the country, the public research university is located in Kuala Lumpur. Official web portal of the University of Technology, the public research University in Johor Bahru. The National Library of Malaysia. Official site of the Malaysian Department of Environment, Ministry of Natural Resources & Environment. Summary about Malaysia's history by the Commonwealth of Nations organization. Wikipedia article about Malaysia's history. Custodian of the Nation's Heritage.